For an infusion of festivity, pick up a colomba. 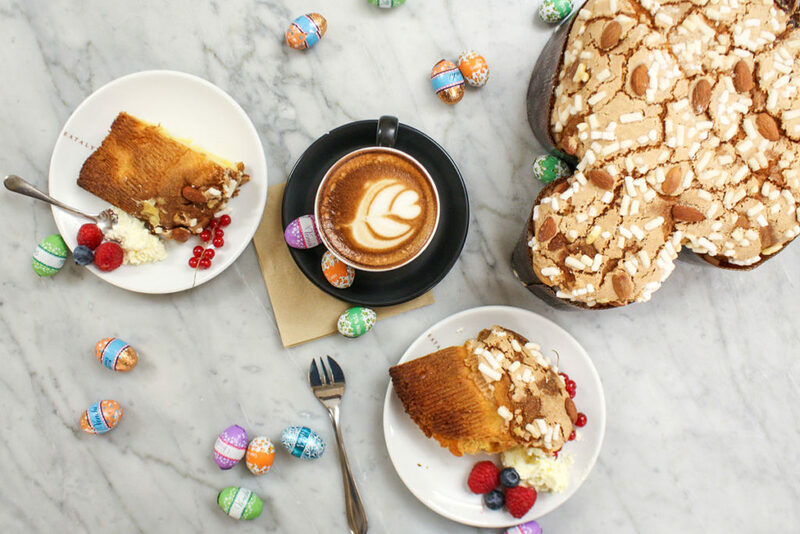 La colomba di Pasqua is a traditional Italian cake named — and shaped — after the Easter dove. During the Easter season, these rich and fluffy cakes are a staple in many homes in Italy. The colombe have saved us more than once. Other than being a sweet and simple dessert for your Easter feast, it’s also an elegantly wrapped cake that makes a great host gift. Colombe are also a tasty addition to daily life, from morning (delicious “French” toast!) to night (pair with espresso or dessert wine). Easter means you can leave chocolate across your home and office and call it style. If only we always decorated with chocolate! 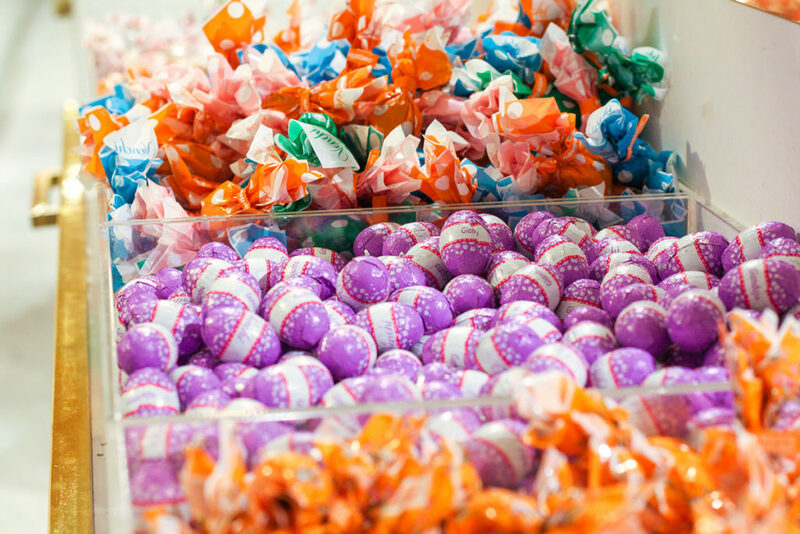 Our market is filled with easter chocolate for both adults and bambini! Try the Italians version of the Easter egg made of just that — chocolate. For the little ones, check out the the chocolate eggs from La Suissa, with a fun surprise inside. Or why not the Perugina bunny, filled with mini chocolate eggs. Also, our Venchi sections is filled “pick and mix” Easter style, big chocolate eggs and ready to go Easter presents. Whether you’re planning an Easter egg hunt, are searching for gifts, or just want to sweeten your daily life, these are the perfect pick for kids and adults alike. Finally it’s time for one of our Easter favourites — the feast. And there is one star on the Italians table: the lamb. How the lamb is cooked varies from region to region . In Rom it’s tradition to eat lamb chops together with fresh artichokes. Up in the north the lamb is often roasted in the oven together with potatoes, and in the south they put the lamb in a stew together with vegetables. But there’s more than lamb, of course. On Long Friday the Italians doesn’t eat meat but fish and seafood. The artichoke is in season and extra tasty, which makes it the perfect antipasto. Fresh fava beans with pecorino cheese is a classic antipasto in Rome. And of course there is bread! From central Italy comes Pizza di Pasqua, a salty cake made of flour, egg, pecorino and parmigiano. Another Easter appetizer is fellata di pasqua, salami with boiled egg. 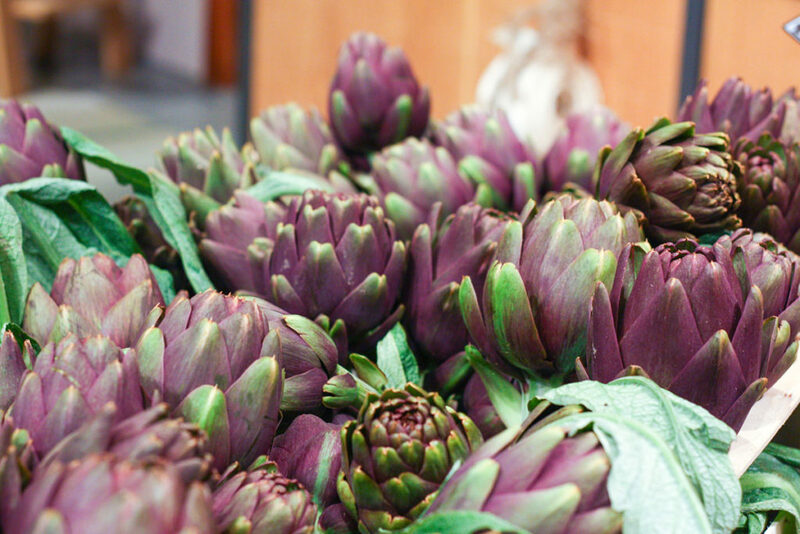 Swing by our market to pick up everything from fresh vegetables as artichokes, asparagus and beans to cured meats and cheese. Don’t forget to pass by our bakery to try the parmesan bread, and our café to have an espresso together with a mini colomba. For a dash more, discover how Italians celebrate Easter. Buona Pasqua!